Bill Steer is the founder of the Canadian Ecology Centre (CEC) and remains as the General Manager/Head Master of one of Canada’s leading environmental education centres. The CEC has been in existence for 19 years. 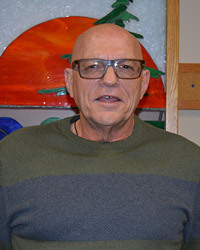 His teaching approach has always been through the “emotional intelligence.” He was a former teacher with the NNDSB and was one of the first male kindergarten teachers in the province. He has been a member of both teaching federations. At Nipissing University, he teaches part-time; geography and outdoor experiential education courses along with the environmental science AQ courses for the Faculty of Education’s, B.Ed. candidates. He sat on the original O.C.T., Outdoor Experiential Education committee that developed the OEE AQ. At Can adore College in North Bay, he teaches geomatics to environmental technicians and to post graduate students; as well as the “dual credit” program for students at risk. He holds degrees and diplomas from Laurentian University, (Nipissing College) McMaster University and Durham College. In 2016 he was selected by the Canadian Institute of Mining as a “distinguished lecturer” for his accomplishments within the field of environmental education.